Huntington Beach is a seaside city in Orange County in Southern California. 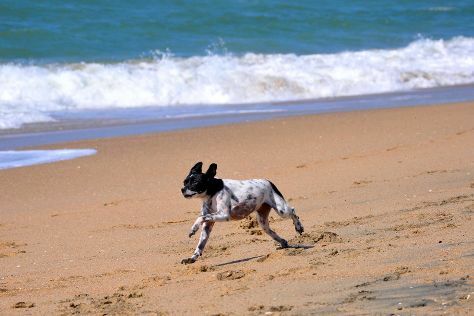 Start off your visit on the 23rd (Sun): enjoy the sand and surf at Marina Park, then tour the pleasant surroundings at Seal Beach, and then tour the pleasant surroundings at Huntington Dog Beach. Plan a trip to Huntington Beach easily and quickly by telling Inspirock to suggest an itinerary. Auckland, New Zealand to Huntington Beach is an approximately 18-hour combination of flight and bus. You can also fly; or do a combination of flight, train, and bus. The time zone difference when traveling from Auckland to Huntington Beach is minus 20 hours. Prepare for somewhat warmer weather when traveling from Auckland in June: high temperatures in Huntington Beach hover around 28°C and lows are around 20°C. Cap off your sightseeing on the 23rd (Sun) early enough to travel to San Francisco. 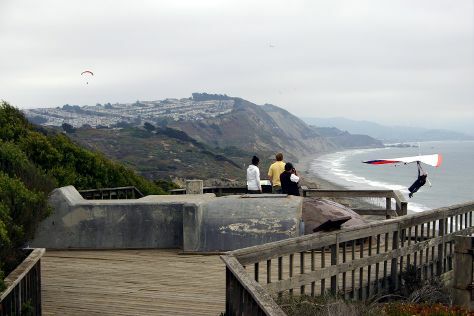 Kick off your visit on the 24th (Mon): enjoy the sand and surf at Fort Funston National Park, examine the collection at Musee Mecanique, and then admire all the interesting features of Alcatraz Island. Here are some ideas for day two: engage your brain at Exploratorium, then see the interesting displays at Cable Car Museum, and then stroll through Baker Beach. To find reviews, other places to visit, maps, and tourist information, refer to the San Francisco road trip planning website . Traveling by flight from Huntington Beach to San Francisco takes 4.5 hours. Alternatively, you can do a combination of flight and train; or drive. Expect a bit cooler temperatures when traveling from Huntington Beach in June; daily highs in San Francisco reach 25°C and lows reach 15°C. Wrap up your sightseeing by early afternoon on the 26th (Wed) to allow time for travel back home.